There are so many different services, options, solutions, etc. out there and it can get overwhelming. That's why I've created this resource page especially for you - a list of all the things that we recommend to our clients again and again and use ourselves - in one place! Some are free and many of the rest are low cost. All are vetted and valuable! 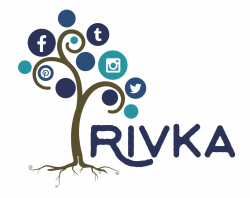 If you have questions about any of these, please feel free to request a call with me (Rivka) or send a quick free e-mail! I am always happy to help! ​Any recommended products or services may include affiliate links that provide a commission. We stand behind all our recommendations and are happy to provide any help you need. Thank you for helping support our free training materials by purchasing from our site!